May 8 and 15, 2008 on Queen Elizabeth Drive. 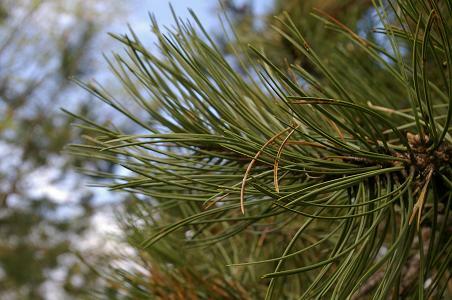 Austrian pine has two needles. 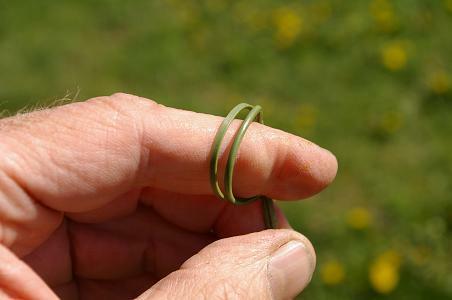 They are flexible enough to wrap around your fingers (vs red pine). above my thumb. 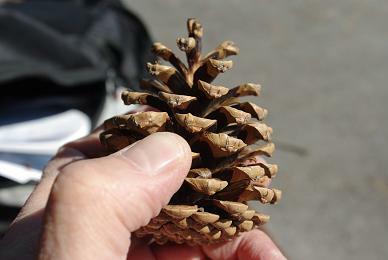 This differentiates it from the Scotch pine cone. 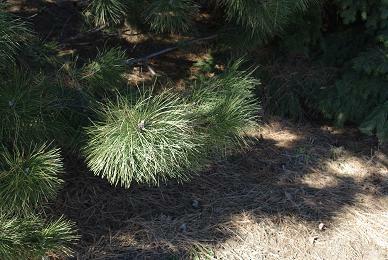 The cones are very similar but Scotch pine lack the little barb.